February 20th, 2017 | Categories: Design News, Home Staging Tips, and Uncategorized. 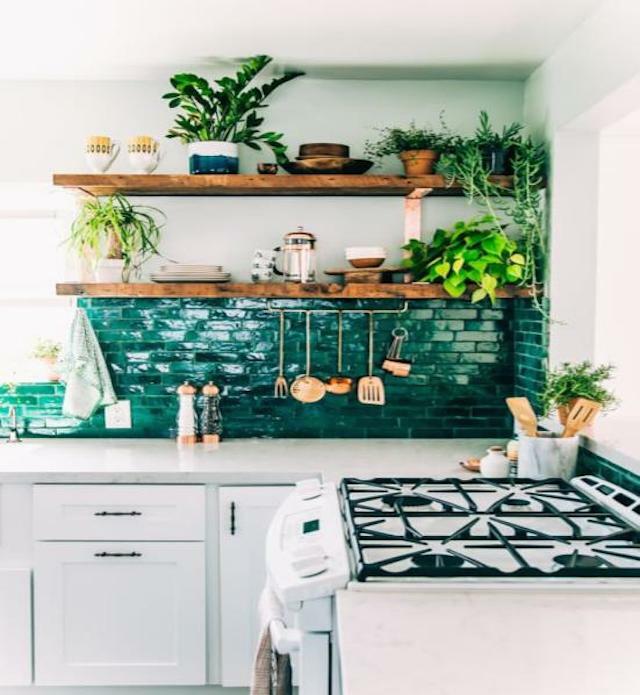 Tags: greenery, greys, home design trends, home staging atlanta, Home staging denver, home staging orange newport beach, home staging trends, home style trends, kitchen trends, and metallics home staging. We’re dishing on the latest kitchen trends. 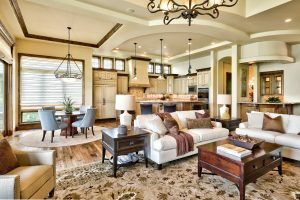 As a result, you can stay ahead of the design curve when it comes to home staging that appeals to today’s discerning buyers. 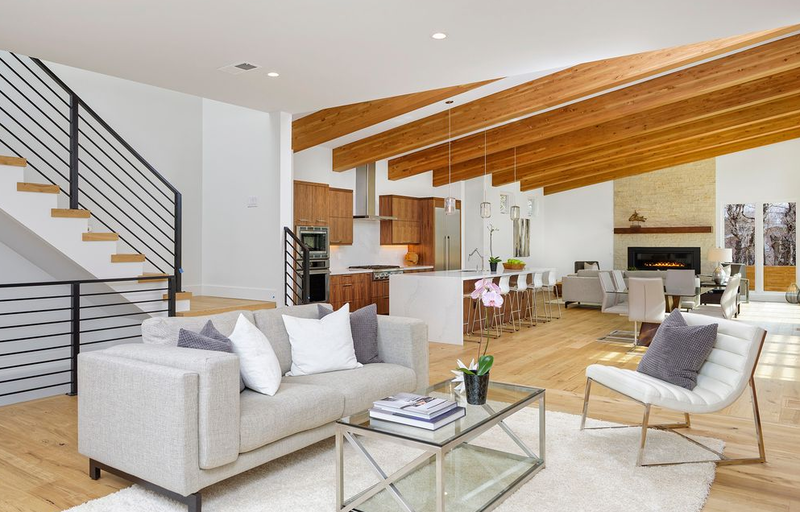 New year, new trends and that holds true whether we’re talking about 2017’s latest real estate trends, or the newest design trends at home. It’s in the kitchen where, perhaps more than any other room, most home style trends begin and end. That’s probably because the kitchen is the hub of our home. It is where we spend the majority of our time. Check out some of the biggest kitchen trends for 2017 – and how you can incorporate them into your home staging design regardless of whether your home is in Denver, Dallas, Atlanta, or Newport Beach. The Trend: First of all let’s just put it out there that, this year, shades of grey go beyond bedroom (and the movie theater for that matter). Grey is projected to surpass white in the design and redesign of kitchens across America. That’s largely because there is a grey hue to suit every style. As a result, whether you’re a cool blue-grey, a warm rose-grey or a straight up greige (grey + beige), there is a shade right for your home. 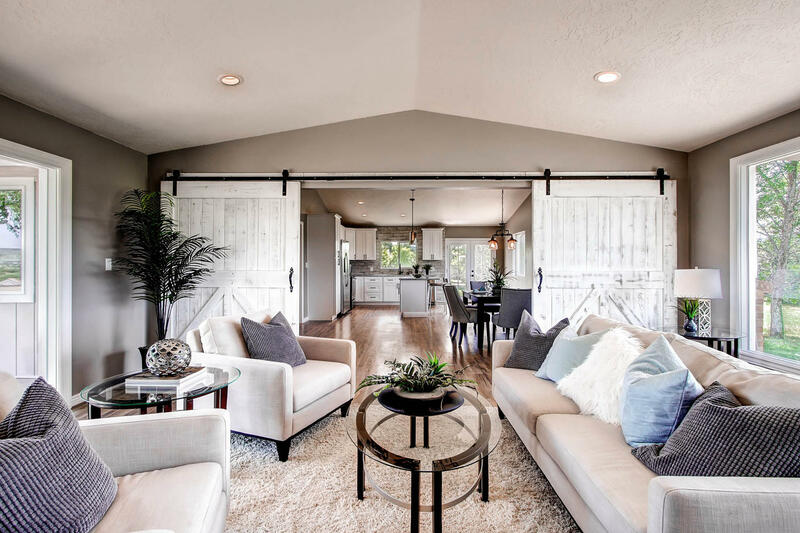 Staging A House With It: Grey is a neutral tone, so when it comes time to staging a house for sale, this color is a no-brainer. Grey can appeal to a wide spectrum of buyers. A grey kitchen in your home staging design scheme is the ideal backdrop for the perfectly curated collection of decorative accents your home stager will feature. 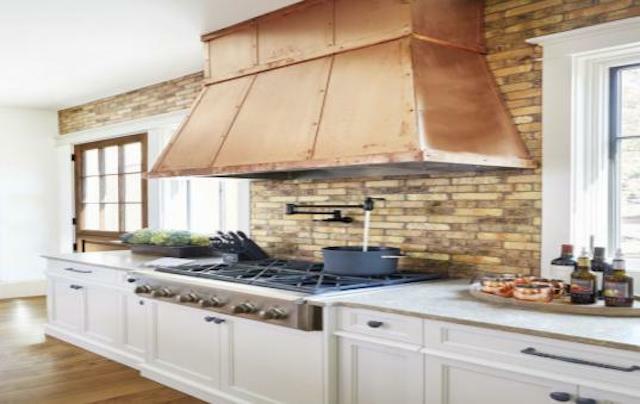 The Trend: From brushed brass finishes to copper-cladded oven hoods, we are seeing warm metallics make a comeback in contemporary kitchens. Metal accents can be kept small but add a strong dose of warmth and charm to a kitchen that may feel bland or cold. Staging A Home With It: Professional home stagers can work in this latest style trend by changing fixtures on cabinet doors or faucets. They can help establish lifestyle vignettes in the kitchen with accents like copper-colored french press coffee makers or colanders. The Trend: Pantone’s color of 2017 is Greenery! 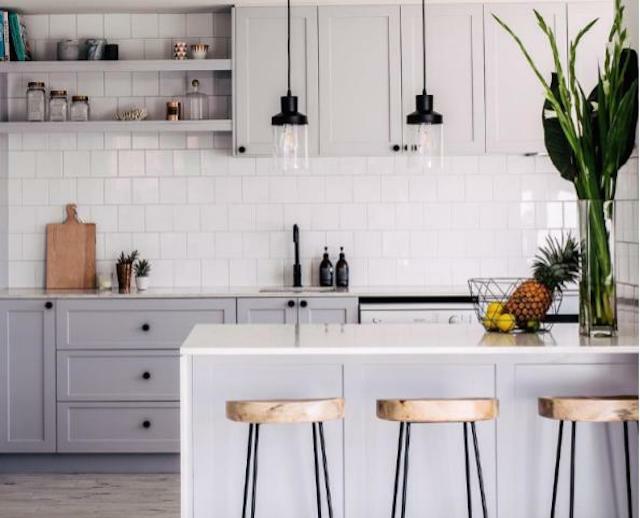 Taking this style trend and incorporating the color into your own kitchen will be key for home staging and creating the perfect open house this year. 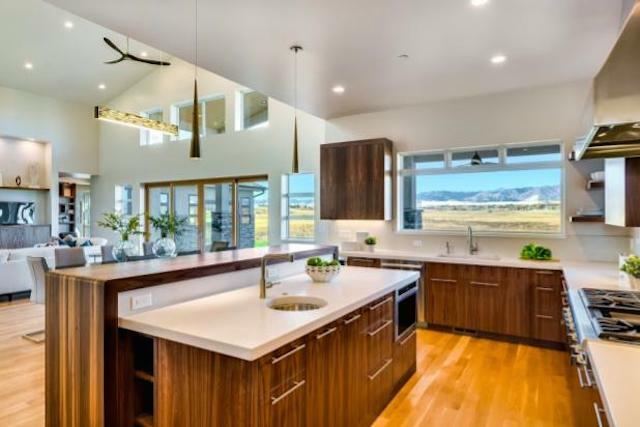 Staging A Home With It: A whole new green backsplash might not be the most prudent move. 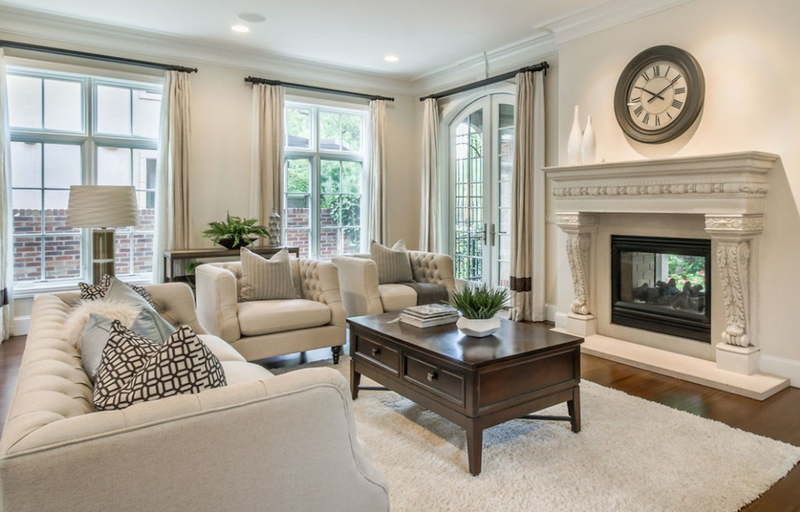 There are more dynamic ways home staging companies can incorporate splashes of green into your home staging. Bold and chic accent pieces like green kitchen stools and chairs, wall art, and even plants and limes could be the right fit for your house. Live plants are a great addition to any kitchen, they’re natural air purifiers and give you a bright pop of color and life without the commitment of painting a wall. If your home stager suggests working in the trendiest color of the year to your home staging design scheme, give it a try, it may have you seeing more green at the closing table. Looking for the best home staging company in your region? It’s quick, easy, and free! Let White Orchid Interiors connect you with a the best home staging company in your area. Get home staging that reflects this year’s hottest kitchen trends to sell for top dollar and more quickly.